Almost every day, we see traffic lights everywhere. However, do you ever think about how beneficial they are for your day-to-day life? There is actually a hidden genius and influence in traffic lights. Traffic Lights: Do they do anything? In actual fact, traffic lights do not and cannot stop you physically. They do not even engage a barrier, which prevents cars from going into an intersection, and take down that barrier when it is the time to drive. Traffic lights will not stop collisions. No, traffic lights are just some kind of mechanical prop, a thing that signifies a social contract that we have agreed to and have written in the law. They are some kind of means of behaviour change that we obey. It is not easy to think of a particular technology that is adopted extensively, so influential, so pervasive, and well-designed. Traffic lights are so beneficial for billions and billions of pedestrians, drivers, and commuters for daily life. Traffic lights have already evolved from electromechanical objects to networked, smart ones. These traffic lights are now capable of adapting to the environment in various erudite ways. People’s relationship to traffic lights constantly and rapidly changes. While a lot of urban traffic lights now have already become computer-operated for many decades now, the interaction between traffic lights, pedestrians, and vehicles is now becoming more and more refined. Various sensors and cameras built in the street or in the traffic lights can actually detect the existence of pedestrians, cars, bikes, etc., and adjust consequently. These particular synchronized signal systems actually try to make sure that the lights do not turn to colour red just when cars are incoming, or have cars waiting in a red light even though there is no cross traffic going on an intersection. This is beneficial in saving time, gas, and simple-out driver infuriation. Traffic Lights: Will we move past it eventually? Some actually discussed that we must move past with traffic lights, averring they really make us lesser safe and hamper the flow of traffic, which we have placed personal obligation for caution and speed into these particular devices. However, without them, we would bother paying full attention to our environment outside our own cars. The realism is, that without this traffic management system in place, there would be no systemized flow to the traffic, and chaos would be caused at busy junctions. 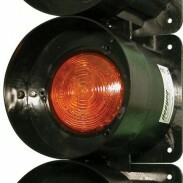 It seems, therefore, that traffic lights have become an essential part to our every day life.